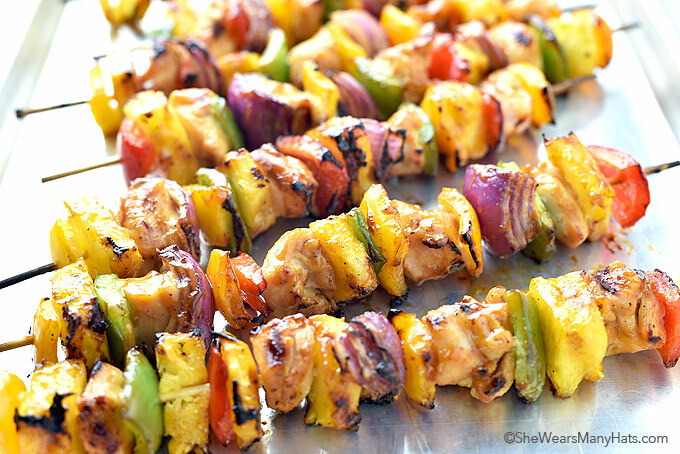 These easy and delicious kabobs are perfect for outdoor entertaining and summertime parties. 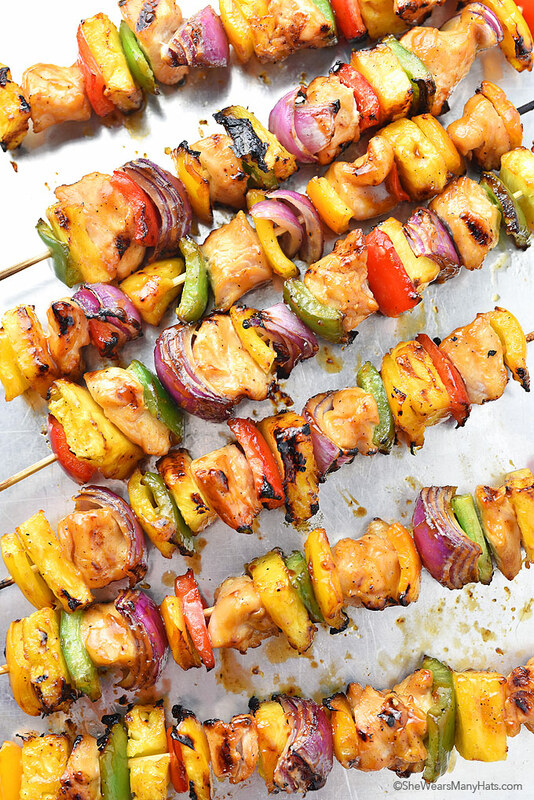 Create marinade* in a small sauce pan over medium heat by whisking together soy sauce, pineapple juice, honey, sesame oil, garlic powder, ground ginger, salt and pepper. Bring to a simmer. Separately, whisk together cold water and corn starch until combined. Slowly stream cornstarch mixture into marinade. Whisk all together. Return to a simmer; allow to simmer, whisking occasionally, for 3-4 minutes until marinade thickens. Remove from heat. Set aside. 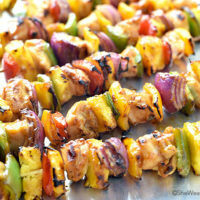 *Marinade can be made ahead, then kept covered and refrigerated for up to 3 days. **To broil kabobs in oven, preheat broiler. Line baking sheet with baking parchment. 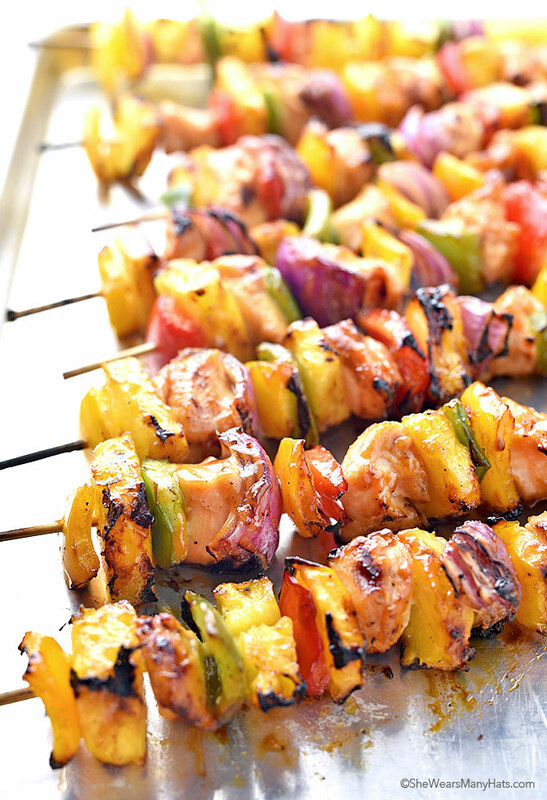 Arrange kabobs in individual layer on baking sheet. Place under broiler; broil, every 5 minutes turn and baste with remaining marinade until chicken is done. About 15-20 minutes. Tried this out, and the whole family enjoyed it. One modification I made was to reduce the sesame oil from 2 tablespoons down to 1 tablespoon. I threw in an extra tablespoon of canola oil to keep the oil level the same. 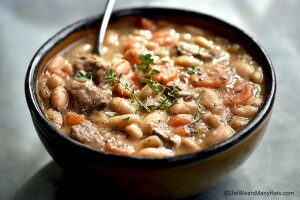 Very delicious, lazy summer night meal!